The Texas Department of Insurance recently published its annual report that details by demographic who has - and who has not - gotten licensed to sell insurance in the state. The report is very long and warrants an in-depth look, but there appears to be progress in Texas in closing some troubling disparities. Research by CFS has shown that the agents most likely to work in underserved communities are often the agents that have the most difficulty getting through the licensing process. While that seems to still be the case in Texas, the chart below suggests Texas regulators are working on the problem. That is great news. 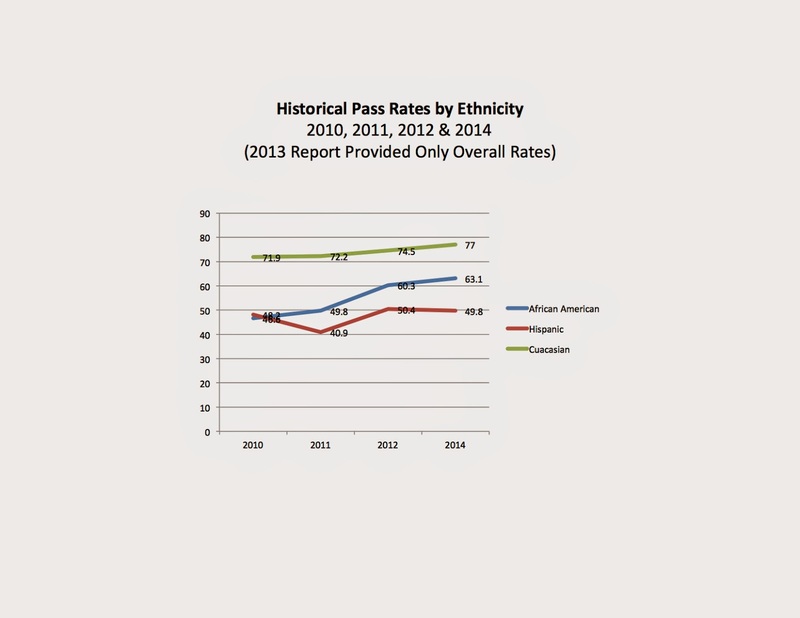 But as the difference between the pass rate for Hispanic and Caucasian testers shows, there is sill more to do.